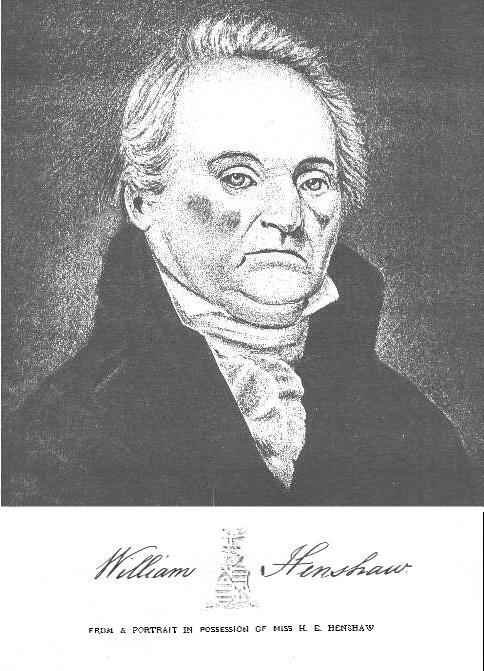 William Henshaw died Feb 20 18206,15 [Feb 21 18202,21], Leicester, Worcester County, Massachusetts6,15; buried Mount Zion Cemetery, Worcester Road (Route 12), Webster, Worcester County, Massachusetts6,15. 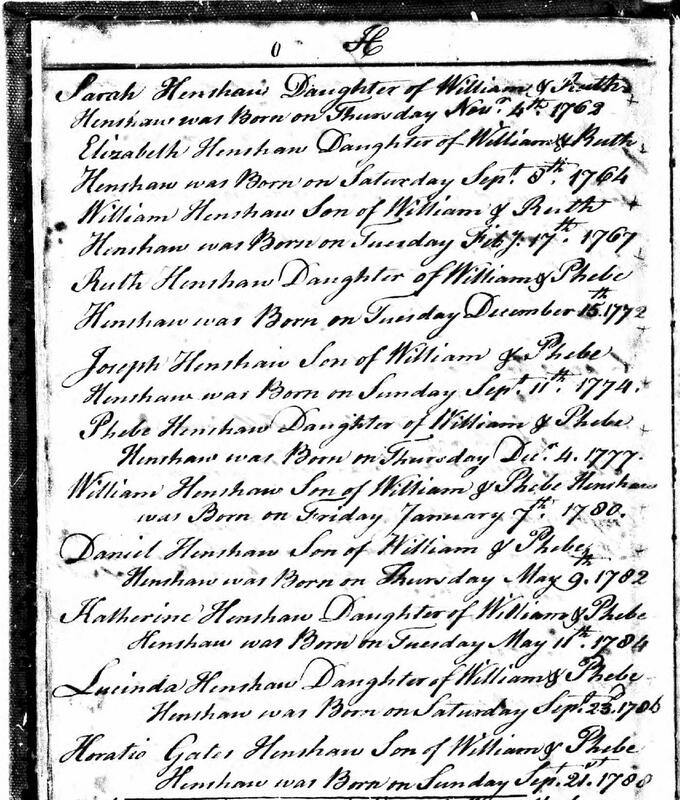 "History of the Henshaw Family", a handwritten manuscript identified as a copy of a letter written August 16, 1829 by Daniel Henshaw of Boston (probably #4588 to Joshua Henshaw Hayward of Boston (probably a son or grandson of Sarah Henshaw Hayward); part of the manuscript collection titled "Henshaw family Papers, 1757-1892" archived at the American Antiquarian Society, Manuscripts Department, 185 Salisbury Street, Worcester, MA 01609-1634. Daughters of the American Revolution (www.ancestry.com). Massachusetts Town and Vital Records, 1620-1988; http://www.ancestry.com. Contribution from John Quinn (). "Genealogy of the Denny family in England and America", Denny, Christopher Columbus; Leicester, Massachusettes, 1886. Daughters of the American Revolution, Vol. 16, pg 300. Henshaw family bible archived at the Massachusetts Historical Society. "Ancestry of the Henshaws", by Olive White Murry, Sept. 1, 1928. Rockwell & Churchill, 1894, Boston, MA (www.ancestry.com). "Massachusetts Marriages to 1800", pg. 60 (www.ancestry.com). DAR application letter for Marion Warren. Manuscripts relating to William Henshaw, archived at the American Antiquarian Society, Worcester, MA, including a handwritten family lineage. An unsigned and undated family note. Contribution from David G. White (). "Genealogy of the Sargeant family : descendents of William, of Malden, Mass. ", 1858, by Aaron Sargent; http://www.ancestry.com. Massachusetts, Town Records, 1620-1988; http://www.ancestry.com. Massachusetts newspaper articles, courtesy of Marcia Payne via NewsBank InfoWeb (). Posting Jun 3 2016 by "WFlem72706" to the NYCLINTO and QUEBEC-RESEARCH RootsWeb email lists.